… Like Ashes, my new album of bonus tracks from the sessions of Head Like Fire and remixes of songs from that album is now here for all to enjoy for FREE. This album, as you already know from reading Part 1 & Part 2 of my … Like Ashes blog series (you did read them, right?) is made up of 8 bonus tracks and 5 remixes. You can stream it or download it EXCLUSIVELY for FREE on my Bandcamp profile. It’s also embedded right here in this blog post. I hope you enjoy the album. If you do and you haven’t already, consider checking out some of my other music including the album Head Like Fire which … Like Ashes is a companion piece of, or check out my first two albums, Echoes In The Dark, and An Unseen Sky. All three are available wherever music is sold and streamed. And PLEASE share. Sharing is the best way for my music to get heard by more people, so SHARE! And if you really love what you hear and want to help out, leave a good review on the music store of your choice (iTunes, Amazon, CD Baby)… Any of the albums, doesn’t matter. The more reviews I can get on the albums in the store the more the albums get noticed in a sea of millions of albums and songs (I think 43 million songs on iTunes last I heard? or was that Spotify? I’m not sure haha, but it’s a lot). Thanks for the support. New music coming… Well, probably soon, but at least you have these 13 new tracks to keep you busy until then haha. And make sure to check out the blog post about the … Like Ashes Remixes to get links to check out the amazing musicians who contributed remixes to this project! Support independent artists! So now that we checked out the bonus tracks from Another Sky, it’s time to talk about the remixes. You already downloaded this free album (didn’t you? ), and I gave a nice intro on the last blog so this time, lets just jump right in. I’ve been talking about it for a while now, but I’m excited to say that Another Sky is almost here! This collection of bonus tracks and remixes is coming out awesome. I’m hoping to finish it sometime in August and then figure out how I want to release it. You can finally see the album cover up above (featuring an excellent photo by the lovely Gina Mizzoni Photography). So what’s included on this release? As of the time of this writing the album will include eight songs that didn’t make it onto An Unseen Sky (maybe more if I decide to include a song or two that really wasn’t made for it but I might add anyway), and four remixes from some amazing musician friends of mine. The remixers so far are Gary Goblins, Quoth, Lady Hectic, and Ron Rierson. I’ll be posting a blog post after the release with more info about all of the remixers, but you can click each of their names to check out their Facebook pages. The bonus songs are either tracks that weren’t finished in time, or I just didn’t feel fit the overall vibe of An Unseen Sky. Make no mistake… There is some awesome stuff on here. Those of you who heard my last B-Sides & Remixes collection, Further Into The Dark (the companion piece for my last album, Echoes In The Dark) know that the tracks are of the same quality and if you like my music, you’ll love this stuff. If you were around for the last album and Further Into The Dark, you’ll also remember that these B-Sides & Remixes albums are FREE. That’s right. If you purchased the CD version of An Unseen Sky you will be getting a completely free download of Another Sky! I’ll also be setting up some other kinds of promotions to get Another Sky onto your hard-drives, but no matter what, I won’t be charging you to hear it (I do want to have some qualifiers for getting it, like supporting a promotion or having already bought the album, at least at first, so it’s not just some random free thing floating around the internet haha!). So that’s the news from me for now… It’s time to go back to work. I’m expecting word back on some more film fests, I’m working on some 48 Hour Film Projects (a blog post will be written about that in the next couple weeks), I’m getting ready to release my next music video for the track “Never,” and I’m about to go camping… If I make it back alive, it’s time to finish Another Sky. Now that you’ve watched it, make sure to leave a comment over there on YouTube to let us know how you liked it! I want to thank the awesome A. R. Kagan who dreamed up and directed the video. That’s her daughter who stars in it too, and they did such a great job. I helped with some of the editing and effects (using some tricks I learned making my “Dreams Like These” music video). “Shadows on the Ceiling” actually had its premiere at the first annual Nevada Women’s Film Festival. I couldn’t make it because it was the same week I was in Austin for the RXSm Self-Medicated Film Expo, but I’m very happy and grateful that the video was able to have a premiere in front of a lot of people. It sounds like it was a great event. And now the video is out for all to see. By the way, the song, “Shadows on the Ceiling” has also been selected for the new Zia Record’s “You Heard Us Back When” Compilation CD which comes out on April 18th, Record Store Day. It’s a great honor and I’m so happy that so many people are going to get to hear this song. And of course, An Unseen Sky, the album that the song will officially be on, is now available for pre-order! You can order the limited-edition CD version from Bandcamp and get a download of two songs, plus access to a special bonus download of extra songs and remixes later this year. Or you can pre-order it in MP3 format from Bandcamp, Amazon or iTunes (ordering from iTunes also gets you an immediate download of “Shadows on the Ceiling”). It will be hitting many more online stores once its official release date, April 7th comes. It was one year ago today, September 3rd, 2013, that I finally released my first album, Echoes In The Dark. I can’t even fully put into words how proud I am of the album and everything that’s come since, so I figured today would be a great day to look back, as well as look forward to what’s next. You might remember that I went up against Nine Inch Nails’ Hesitation Marks on that day, and while “Copy of A…” is a great freaking song, my album got a lot more plays by me over the past year (haha). It started off a couple months before that date with the video for “Lights In The Sky” which went on to win two awards and be accepted into 5 film festivals around the world. I then had the soft launch of the album at the 2013 Paracon Convention at Binions downtown where I got a ton of great feedback. Once the album came out on September 3rd, I got a couple of great reviews and released the second video, “Whirlwind,” as well as the three interactive videos, “Dark Rain,” “Embers,” and “Reveal.” We then started working on the “If Only Tonight I Could Sleep” Music Video with House of DON Productions. Before it was completed, however, Connor Biddle of the show “Paranormal Encounters” created a video for the track “Broken Circuits,” which went on to so far be accepted into four festivals, getting nominated for Best Music Video at the Salt Lake City FilmQuest. With the completion of the “If Only Tonight I Could Sleep” video, I started the fundraiser which did incredible. It blew way past my expectations, and I can finally say that it will screen on Saturday, September 20th at the REEL Recovery Film Festival at the Container Park in Downtown Las Vegas (I’ll have more details and showtime soon in its own blog post). After that screening, on Monday, September 22nd I’m going to finally release the video online for everyone to see! And then we will also have it at Pollygrind where I just found out this week that it is officially an Official Selection (and “Broken Circuits” is too!). 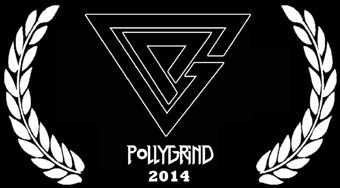 After both “Lights In The Sky” and “Whirlwind” were Official Selections (and “Lights In The Sky” won an award) at last year’s Pollygrind, I couldn’t be happier to see both of the new videos get selected too. It wasn’t just the music videos that made this album a special experience. I’ve been working hard to become a well-known, constantly-working composer for a long time now, and I think in the past year since the album was released, I’ve probably doubled the amount of work I did in all the years preceding it. I think it’s probably just the exposure of being out there, promoting the album and its videos, as well as collaborating with directors on my own videos which leads to me composing for their films. With the director of “If Only Tonight I Could Sleep,” Doug Farra, alone I’ve scored I think 7 film projects already, and we still have his first feature, “Finding The Truth” coming up soon. So that brings us to now. What’s next with this new year? Well first of all we’ve got a bunch more film festival notifications to wait on. You win some, you lose some, but I still have plenty to hear back from on “If Only Tonight I Could Sleep” and a few left on “Broken Circuits” and I’m confident that when all is said and done, they’ll have screened at a lot of festivals. Of course I have more film projects I’m composing for too, some of which you’ll get to see soon. Most importantly however, I think it’s a good time to announce officially that if all goes well… My sophomore album might be ready THIS YEAR. I’m not gonna rush it. There’s no need to. I might even have one more video in the works from Echoes In The Dark, so there’s no reason to rush it… But I have an album title, a possible album cover, and more importantly… 18 songs so far. Of course these song need to be tweaked and perfected, and ideally I want to have between 20 and 25 to choose from for a perfect 12-14 song album. But I can tell you, I’ve been listening to these new tracks constantly, and I think it’s an even better album than Echoes In The Dark. Maybe a song will end up online soon… We’ll see. Thanks for reading. Thanks for listening. I hope to see some of you at the September 20th screening and at Pollygrind!